SINGAPORE is different – or at least that's what we're supposed to think. It’s the ultimate technocratic state: manned by scholars from the world's best universities. “Politics” is said to have been expunged. Moreover, in a series of extremely well-choreographed transitions of power from “Founding Father” Lee Kuan Yew to Goh Chok Tong in 1990 and thereafter to Lee Hsien Loong in 2004, stability has been a constant. Indeed, only six months ago, a column on political succession in Singapore would have been a joke. However; two recent events have roiled the island-state. First, in May, the acknowledged “fourth generation” successor to Lee, the affable and highly-competent fifty-four-year-old Minister of Finance, Heng Sweet Keat suffered an unexpected stroke whilst attending a Cabinet meeting. Then, and most shockingly, on the evening of the 21 August, just as the PM was delivering his annual National Day Rally speech, the sixty-four-year-old faltered and appeared to faint. Fortunately, the news cameras were quickly pointed elsewhere just as he seemingly collapsed – thereby preserving the former cancer patient's dignity. Needless to say, footage of the “mishap” was relayed across the city-state (if not the whole of Southeast Asia) within minutes. I remember being in Jakarta at the time and scrambling to get to a television screen as soon as I heard. Things really became interesting as we waited to hear about Lee's condition. I could only imagine the feverish sea of questions: what was wrong with the PM? Could this be a relapse? Was it a stroke or heart attack? For a country that is so delicately balanced- the uncertainty had people on tether-hooks. 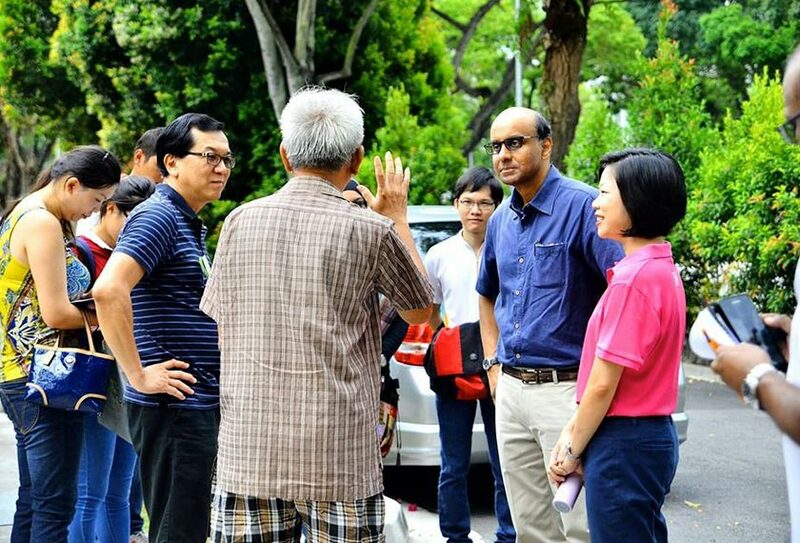 Tharman conducting door to door visits along Dunearn Rd. Photo: Chan Kwai Kien Facebook. Moreover, recent economic events – the “perfect storm” of negative factors ranging from dropping demand in China (its largest export market), a near-collapse of oil and gas prices as well as a sense of torpor in both the retail and gaming sectors—have only heightened the sense of siege in the city-state. Growth is expected to only drag away at a mere 1 to 2% by the end of 2016. 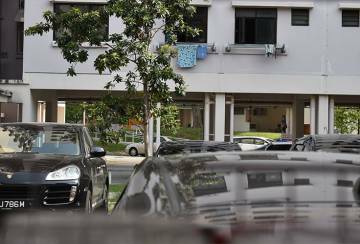 As the country speculated, a lone voice – that of Deputy Prime Minister Teo Chee Hean – came across the PA system. With a former Rear-Admiral’s customary aplomb (and a distinct lack of empathy) he explained to the audience that all was well and that the speech would be continued after a short delay. Twenty minutes later, the second Deputy Prime Minister Tharman Shanmugaratnam spoke directly to the national media. Despite the growing uncertainty, his manner was calm, understated and self-assured. Acknowledging the country's sense of shock, he went on to say that he had spoken to Lee, as well as the doctors and that the situation was under control. Watching Tharman's flawless performance, I knew I was witnessing pure political intuition. Within a matter of minutes, the DPM had connected with the entire nation, shared in their anxieties and then allayed their fears. Contrary to what the Singapore's political masters may think, “leadership” cannot be manufactured. Some have pointed to Tharman’s popularity compared to his cabinet colleagues – citing poll after poll, his electoral results in the Jurong Group Representative Constituency (GRC) and his superior communication skills. For me, the real test came in the moments immediately after Lee’s collapse, when he recognized the need to intervene and calm his country in its moment of need. Tharman’s future leadership prospects are now the subject of intense debate in Singapore. On the surface, he comes across as a prefect product of the PAP’s system of grooming leaders, one who checks all the boxes. Highly-educated? He went to LSE, Cambridge and Harvard. Technocratic excellence? He rose to become Chief Executive and then Chairman of the Monetary Authority of Singapore (MAS). He served with distinction in key Cabinet portfolios such as Education and Finance. 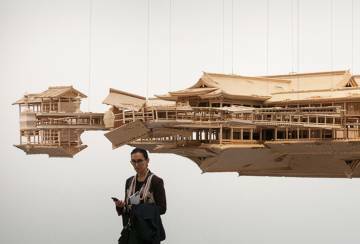 International experience? He chaired the International Monetary and Financial Committee (IMFC) of the IMF. Is he good on the hustings? He’s held on to Jurong since 2001, securing substantial majorities time and again. There are those who argue that like Lee, Tharman is a “third generation” politician and thus his ascension would not necessarily bring generational change or rejuvenation. However, “rejuvenation” can also mean having a leader from a different background, gender or ethnicity, which can be refreshing. Could Tharman's ethnicity be the problem: an Indian Singaporean in a majority Chinese milieu? Indeed, a recent article published by the Straits Times outlined the six candidates being considered in the succession race for PM. Tharman was excluded. What gives? Isn’t Singapore supposed to be a meritocracy? Doesn’t it always recruit and elevate the best and the brightest, each and every single time? 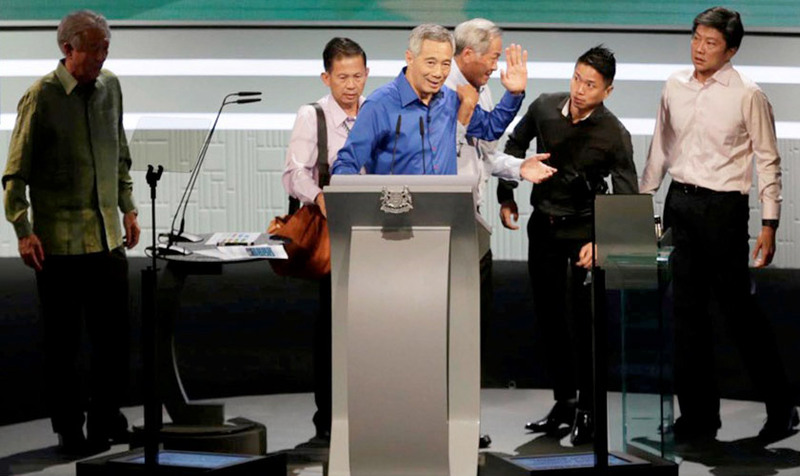 I confess, I'm very intrigued why is there such a reluctance to consider a man who clearly towers over his peers, especially given the economic and financial squalls that Singapore is in and will face in the decade ahead? The Singaporean elite is faced with an unusual dilemma: a potential leader who surpasses all his peers in terms of modern administrative and political skills. In Singapore, where raw brain-power and book learning have long trumped emotional intelligence, Tharman has the intuition and rhetoric to win over and persuade his countrymen like no one else. One has to ask if Singaporeans are truly being served by this failure of imagination on the part of their establishment?